GPE as a Master of Science Program and TU Berlin do not offer scholarships. In general, German universities do not have an own scholarship program to provide promising students a scholarship. Nevertheless, there are third party providers who may offer scholarships for students in order to help financing the academic studies. Please find below some providers of scholarships. Please note, that the application process for the scholarship has to be done by the GPE candidate autonomously and that there is no guarantee for getting a scholarship. 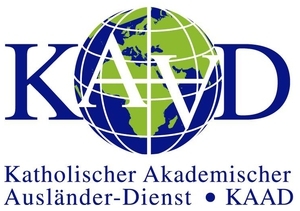 The DAAD offers scholarships depending up on your home country. For detailed information please contact the DAAD office in your home country. Please note that these scholarships are only for living expenses. Please check the closing date for application. It might be a year in advance. If you plan to apply there, you may need a confirmation of your application to GPE. In order to get it, please log in our database and send an e-mail to info@gpe.tu-berlin.de. We will evaluate your data and if you fulfill the GPE requirements, we will send you a letter that you are promising candidate of our program. Please note that the DAAD will give a scholarship just for the living expenses and a small amount of fees which are charged from almost every German university. Please note that the KAAD will give a scholarship just for the living expenses and a small amount of the fees which are charged from almost every German university. KAAD has no budget for financing the fee of GPE with a total of 15.500 Euro. Nevertheless it might be a chance to get a scholarship for the living expenses. Please check the closing date for applications. It might be a year in advance. If you plan to apply there, you may need a confirmation of your application to GPE. In order to get it, please log in our database and send an e-mail to info(at)gpe.tu-berlin.de. We will evaluate your data and if you fulfill the GPE requirements, we will send you a letter that you are a promising candidate of our program.